Home/News/How to choose a fruit juice machine manufacturer in a trade war? How to choose a suitable fruit juice machine or processing line? At any time, your demand for the product is the first one, and it is no exception in the trade war. When buying a fruit juice machine or juice production line, we can choose the most suitable machines according to the following points. The following points also describe how to choose a fruit juice machine manufacturer. Before buying a fruit juice machine or juice production line, customers should determine what they are going to produce. Some fruit juice machine manufacturers have many types of machines, such as pineapple juice extractor machine, orange juice extractor, mango pulp making machine, fruit juice sorter, fruit washing machine, etc. Some of these machines are special machines, and some are compatible machines. When buying a fruit juice production line, the customer hopes that a filling machine can package all kinds of fruit juices. In fact, the filling effect of a special machine is often better than that of a compatible machine. Which machine is suitable for your product, customer can coordinate with the fruit juice machine manufacturer. Besides, consumer can consider the price for choosing the most suitable fruit juice machines. High cost performance should be the first principle of buyer. 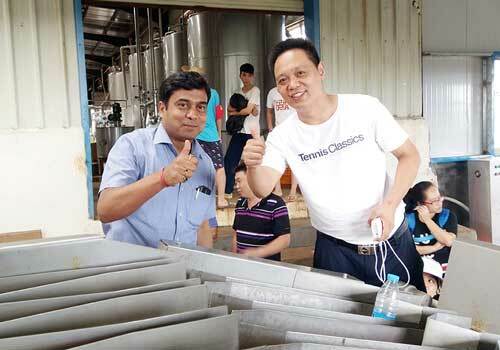 The quality of fruit juice machine is very important. As we all know, China has a global reputation for manufacturing, and the Chinese fruit juice machinery manufacturing industry is also the first class. Here is a recommendation for Tianjin Anson International Co., Ltd, the short name is TICO. TICO is a comprehensive fruit juice beverage machinery manufacturer integrating research, development and manufacturing. The company has a modern standard factory. With the strong technical force, many kinds of fruit juice beverage machines and fruit juice machine plant have been studied, developed and manufactured for many years. Through continuous absorption and digestion of advanced technology at home and abroad, our fruit juice machines have significant characteristics such as high efficiency, environmental protection, energy saving and so on. You can click on the link or contact us for more company information. Customers can choose the famous brand fruit juice machine manufacturer with a long history as much as possible, the quality is guaranteed. If there is a field investigation, we should pay attention to the important aspects and pay more attention to the small details, because of the quality of the whole machine is often determined by the details. 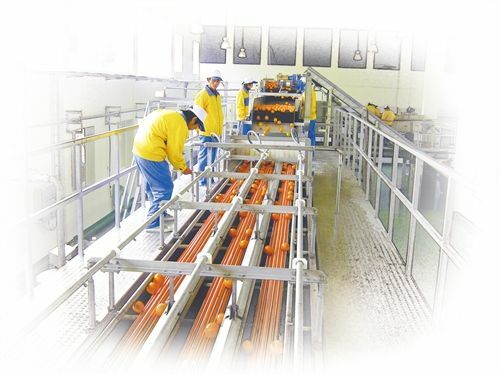 Customers should choose the fruit juice machinery or production line with mature technology and stable quality, so that the production of fruit juice is faster and more stable. At the same time, they have the advantages of low energy consumption, low manual and low waste rate. Try the fruit juice machine or production line with the sample as much as possible. Fruit juice machine manufacturer need to have good after-sales service. The timely after-sales service is especially important for the food processing enterprises. Especially the juice maker, summer is the season of production and sales. If a problem can’t be solved immediately in the process of fruit juice production, the loss is conceivable. Customers can give priority to some manufacturers who have a sample project for the fruit juice production line. As a fruit juice machine manufacturer, We can provide various fruit juice making machines, juice filling machines, juice filter machine, etc. Our machine has simple operation and maintenance. We also supply complete parts and a complete set of customized turn-key engineering project. Contact us for your own fruit juice making plant.